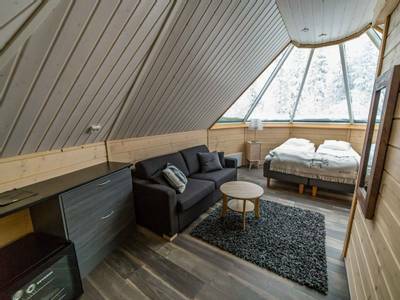 The Aurora Cabins are a fabulous base for a Christmas escape and provide your own home from home for your holiday. 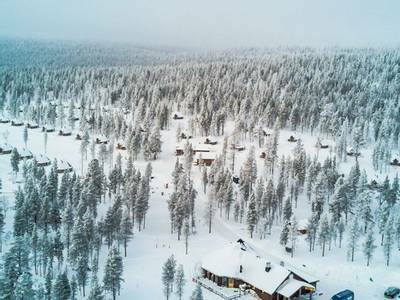 The activities encapsulate the best of Lapland and offer some festivities without the feeling of being in a ‘Santa-centric destination’. The Aurora viewing potential here is amazing and the guides really put in the effort to help you achieve your goal. Their photography tuition is also a real bonus for anyone who wants to capture the lights on camera. 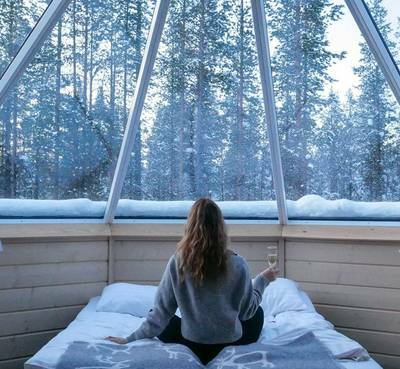 Spending Christmas in Lapland is always special but spending it hunting for the Northern Lights and sleeping in a glass-roofed cabin really makes for a memorable trip. 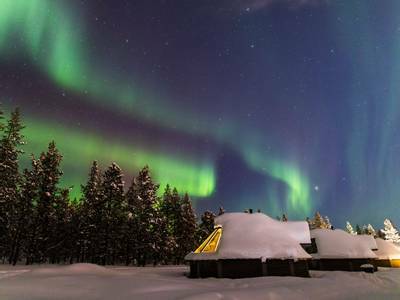 This four-night break to the Northern Lights Village combines unique accommodation, dedicated Aurora hunts and amazing winter activities. 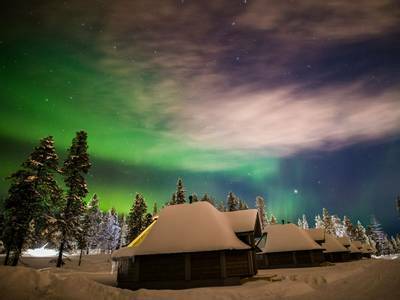 Tucked behind a small forest, on the outskirts of the ski town of Saariselkä is the Northern Lights Village. 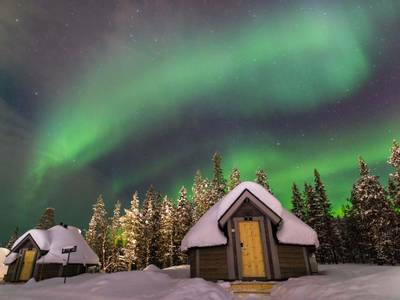 Set deep in the heart of the Aurora Zone in North Eastern Finland, this is a prime location for both viewing the Northern Lights and trying unforgettable activities. 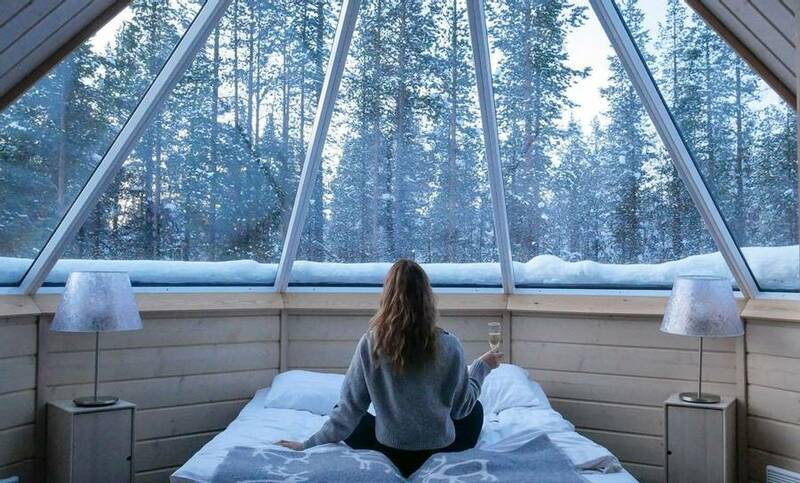 A Christmas escape here provides you with a unique and memorable holiday packed with winter experiences. 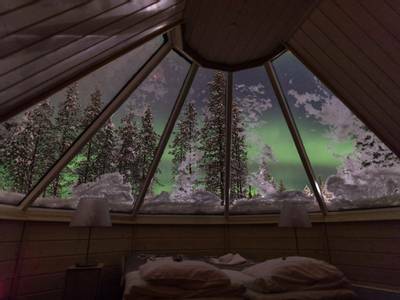 The delightful Aurora Cabins provide your accommodation and with the partially glassed roof sitting above your bed, you’ll have great views of the sky all night long. 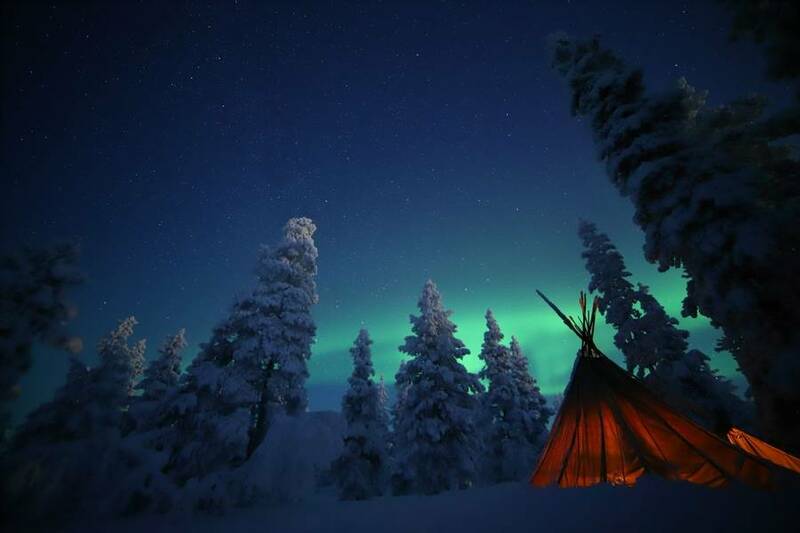 Of course, the best way to see the Northern Lights is from outside and so we have included three dedicated evenings of hunting to offer you the best chance to witness the Aurora Borealis. 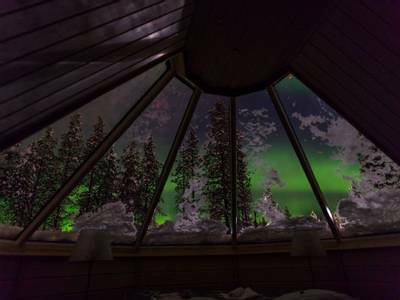 We tend to start with an informative workshop on how to photograph the Northern Lights, as we know that most people are desperate to capture the Aurora on camera and so the guides here will impart their expertise in this department. If you do not have a suitable camera then do not worry as they can be rented locally. Your Aurora workshop then leads on to a Northern Lights hunt where you travel in a snowmobile-pulled sleigh, behind your guide’s machine. 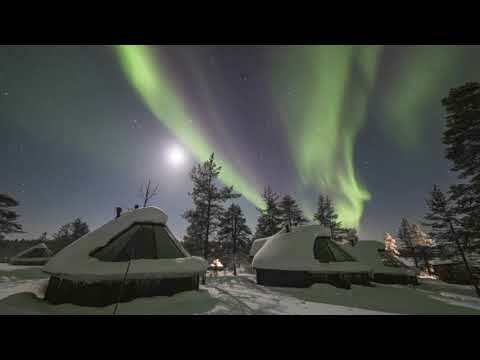 Next on the evening agenda is a visit to one of the famed Aurora Camps. These camps are dotted around the region and are all situated in excellent viewpoints. 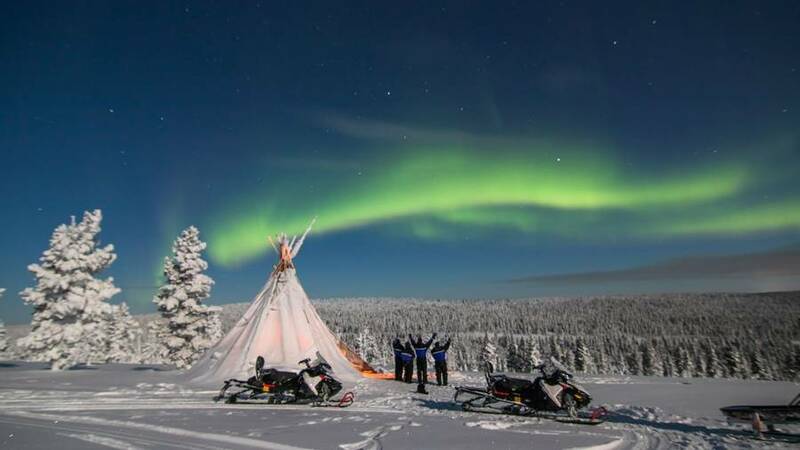 A thrilling snowmobile safari to the top of a fell then caps off your Aurora hunting. During the day the wonderful blue light of deep winter offers around four hours of dusky light either side of noon. Whilst the sun never rises, the light is very special and creates an atmosphere only experienced at this time of year (please note that some activities may start/finish in the dark). 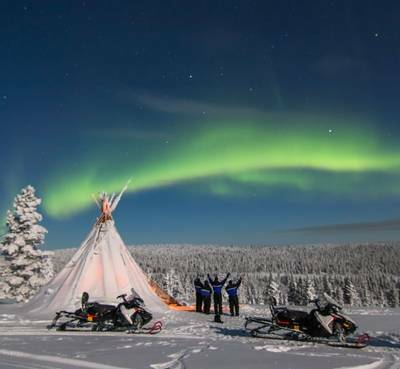 We’ve included all the key experiences in this short break and so you will enjoy a snowmobile and ice fishing trip, encounters with reindeer and an unforgettable dog sled safari. 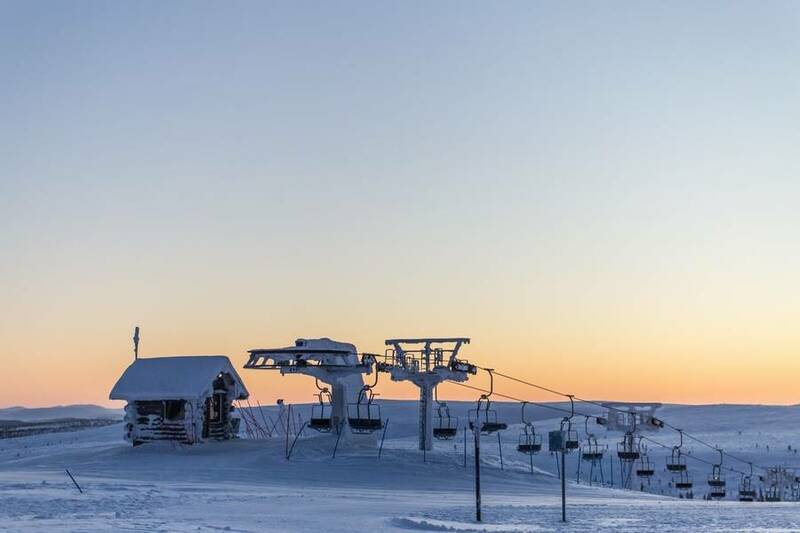 There is also some free time for you explore Saariselka, add in additional activities or try some downhill skiing. With Christmas festivities on both the 24th and 25th December, this really will be a festive holiday to remember. Please note that over the Christmas period, there are likely to be children under the age of 15 on the activities and staying at the village. Whilst this should not detract from your experience, should you like details of one of our adult-only options then please ask one of our Travel Experts. Please note: the agenda shown is simply an example order for the activities and your final agenda will be provided on arrival in Saariselkä. 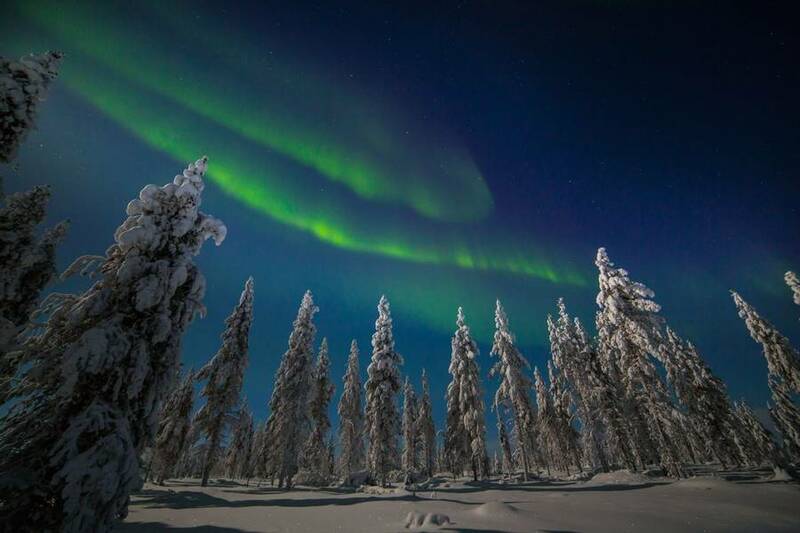 Upon arrival at Ivalo Airport, a driver will meet you and transfer you to the Northern Lights Village. You can then check in and relax ahead of your inaugural activities this evening. Your trip starts with an Aurora workshop. The expert guides here are all so passionate about the Aurora and so they share their knowledge about how to capture the lights on camera. Should you need to rent equipment then this can be done locally. 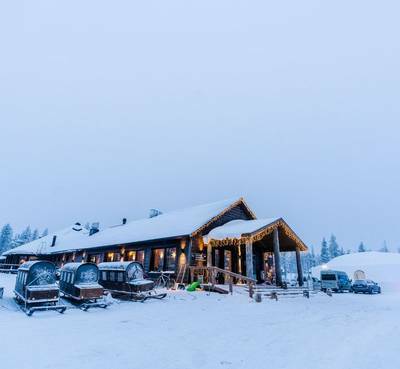 After dinner in the restaurant, part two of your evening begins as your guide will lead you on a Northern Lights hunt in a snowmobile-pulled sleigh. Your route will be chosen to provide you with a prime view of the northern sky and you’ll enjoy warm drinks around a campfire as you keep watch for a potential display. You will be out for around three hours in total. You really can’t visit Lapland around Christmas and not meet some reindeer. The reindeer paddock is within the village and so you do not have far to go for this experience today. Your expert guide will introduce you to the animals before you get the chance to feed them. 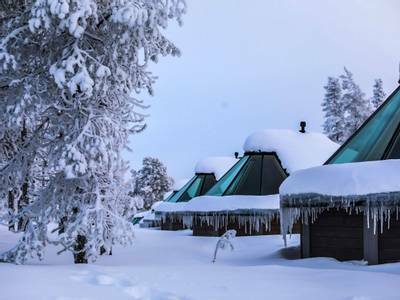 A short reindeer-sleigh ride will follow, and lunch will be served in a warm kota (traditional teepee) at the village. Including your meal, the activity lasts between three and four hours. Christmas is celebrated on Christmas Eve in Finland and so tonight the festivities begin with a special meal in the hotel restaurant showcasing some typical Finnish Christmas fayre. 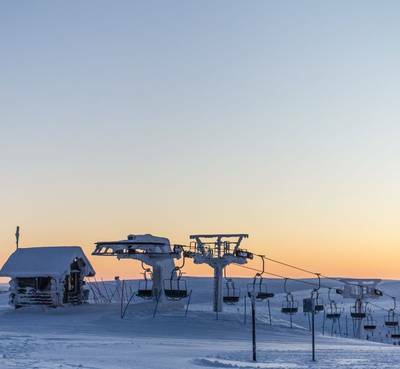 Today’s activity combines two of the most popular pastimes in Lapland; snowmobiling and ice fishing. Your snowmobile experience begins with a full safety briefing and instructions on how to handle the machines before you set off, two people per snowmobile, with your guide leading the way. Your destination is a frozen lake nearby and it is here that your guide will assist you in drilling a hole through the thick ice. You then drop your baited line into the chilly depths below and begin the patient business of ice fishing. Whilst you maintain focus on catching a fish, your guide will prepare lunch around a campfire (weather permitting). With luck, you may have a perch or a local Inari whitefish to add to the menu. After your meal, you will head back on your snowmobiles and return to the village. You will be out for around four hours in total. Please note that you must be over 18 and hold a full driving licence to drive a snowmobile. During your free time this afternoon you may like to include additional activities which can be found in the ‘Personalise’ section of the holiday page. You may, however simply like to relax and enjoy Christmas Day in this stunning setting. A second festive meal will be served this evening. 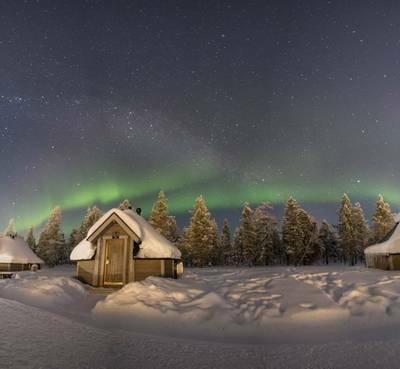 It gives you another chance to experience some of the traditions of a Finnish Christmas. 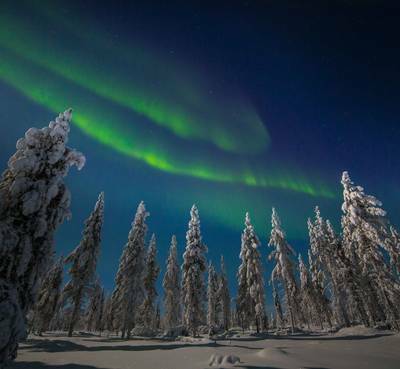 After your meal, it’s time for an evening of Aurora hunting to top off the day nicely. You will begin with a bus journey north towards Lake Inari. 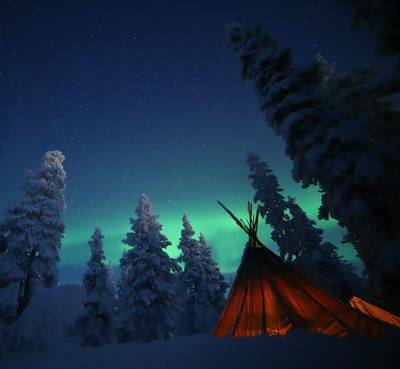 In the area, there are numerous Aurora Camps which have been erected in prime viewpoints. These are ideal places to wait for a potential show and your guides will choose the best spot based on the evening’s forecast. A fire will be lit, warm drinks and snacks will be served, and you can settle in to watch the skies. You will be out for around three hours in total. 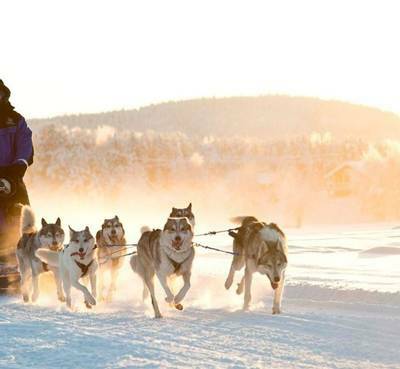 Dog sledding is one of the most unforgettable winter activities and today is your chance to try it for yourself. Travelling in twos, each pair will be given their own team of eager dogs for the safari with one person sitting in the sled and the other taking the controls. After a transfer to the sled centre, you will meet the excitable huskies. You will hear them bark and howl in anticipation of the trail and they’ll be hugely pleased to see you. They love to pull the sleds and they know what your arrival means! After a full instruction and safety briefing, you will take to the trails, the dogs will fall silent and the fun will really begin. There are few better ways to travel in the Arctic. 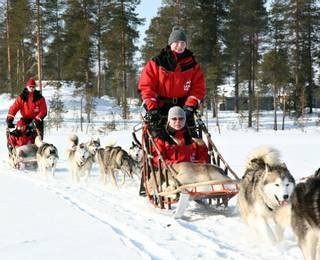 This activity lasts for around two and a half hours (including a break for hot drinks, transfers and training) in total and includes around one to one and a half hours of dog sledding depending on the conditions. You shall cover around 10km during the safari. You can, however, upgrade to a longer experience should you wish to do so and the details of the options available can be found in the ‘Personalise’ section of the holiday page. 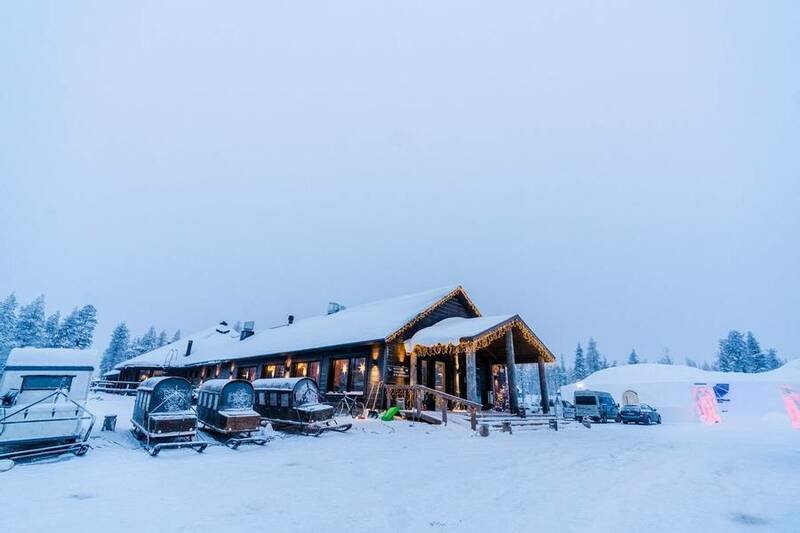 Lunch will be served at the Northern Lights Village and the afternoon is free for you to explore Saariselkä or perhaps enjoy additional activities such as those listed in the ‘Personalise’ section. Ski hire is available in the town for those who fancy some downhill skiing. Your last night of Northern Lights hunting is one of the most exciting, as you are back on snowmobiles to try and hunt down a display. With your headlights lighting the trail and your guide leading the way, this trip gives a real sense of being out in the wilds. You will wind your way to the top of one of the fells where the views to the northern sky are excellent. With the right conditions and a little luck, the lights will hopefully appear as you gather around a warming campfire. In total, you will be out for around three hours and full driving instructions will be provided before departure. Again, you will travel two people per snowmobile and the driver must be over 18 and hold a full driving licence. Today, it will be time to leave the Northern Lights Village behind. As you are departing on an early flight, a packed breakfast will be provided for you to take with you on your transfer. A husky safari is one of those experiences you are likely to remember for the rest of your life. Once the dogs are running and the sled enters the wilderness surrounding Saariselkä, all else is forgotten. Whilst we do include a safari in the holiday, we know that many people like to extend this activity and so the option is listed below for you. It is based on two people per sled but if you would like your own team then this can be arranged on request for a supplement. This safari will see you cover around 20km during around 2-2.5 hours of driving. In total, you will be away from the Village for around four and three-quarter hours (duration includes transfers, training and lunch). Single adult price: based on own cabin accommodation only (transfers are shared). 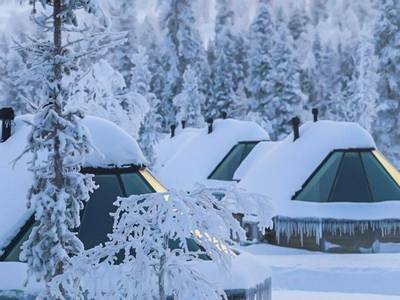 Should you wish to drive your own husky team or snowmobile please ask our Travel Experts for a quotation.